We all have that one friend (or more) that makes us laugh the whole time we're together don't we?! 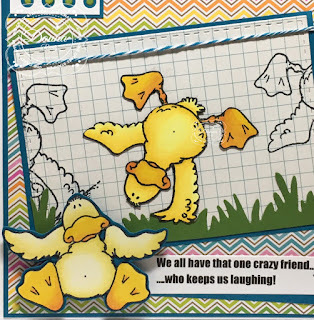 My card today, celebrates the crazy friends we have in our lives. I know I have more then one friend like this in my life and I love being with them...after all laughter is the best medicine right?! I started by stamping and colouring my images with alcohol markers. After fussy cutting them, I went around the edge with a black marker to fix any white that may have been left showing. 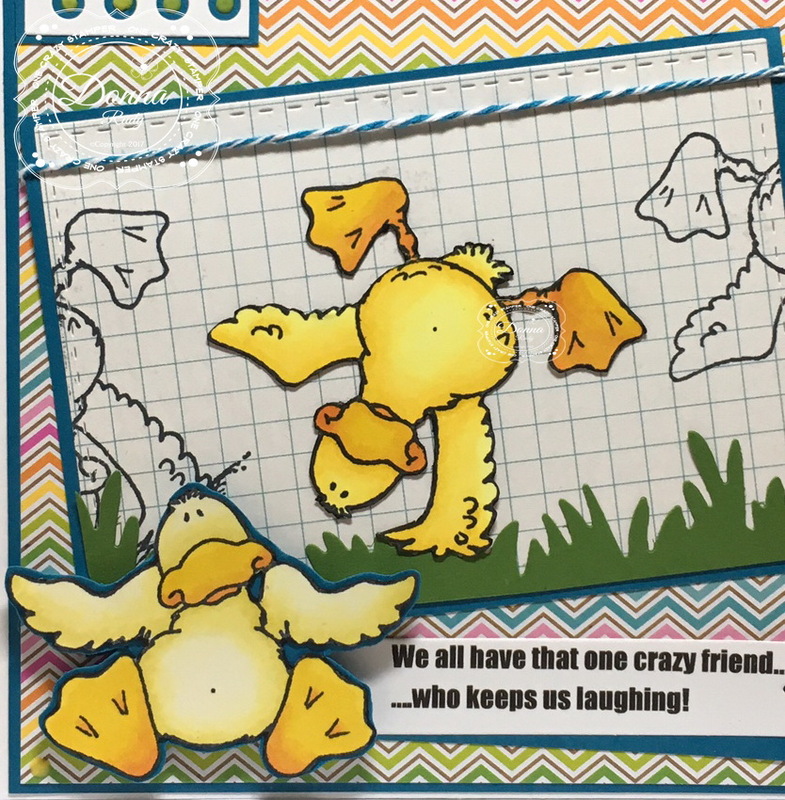 I cut out some graph paper with a stitched rectangle die and partially stamped two more ducks. I wanted it to look like he was cartwheeling through the background. 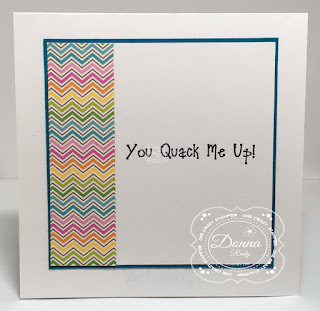 The sentiment was created on my computer and cut with a fishtail banner die. 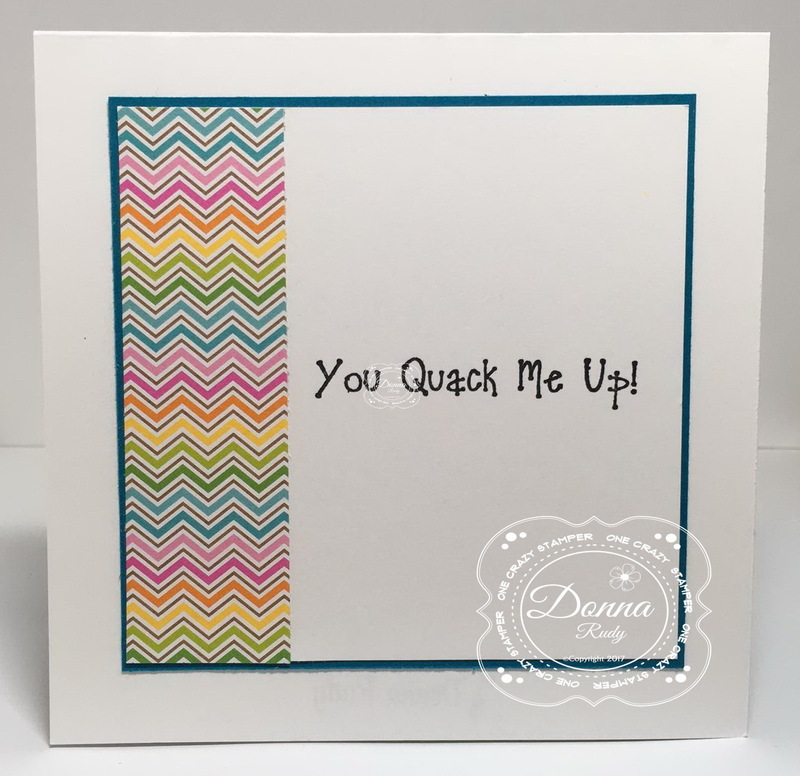 I finished the inside of this card by adding a piece of matching leftover patterned paper and stamping a matching sentiment. Some twine and Nuvo Crystal Drops finish off my card. Thanks for my morning smile!!! 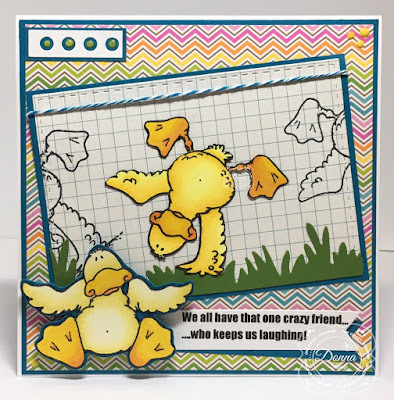 Love how you stamped a few ducks going off the page! Once again your fussy cutting rocks!! Hope I'm one of your "Crazy" friends! 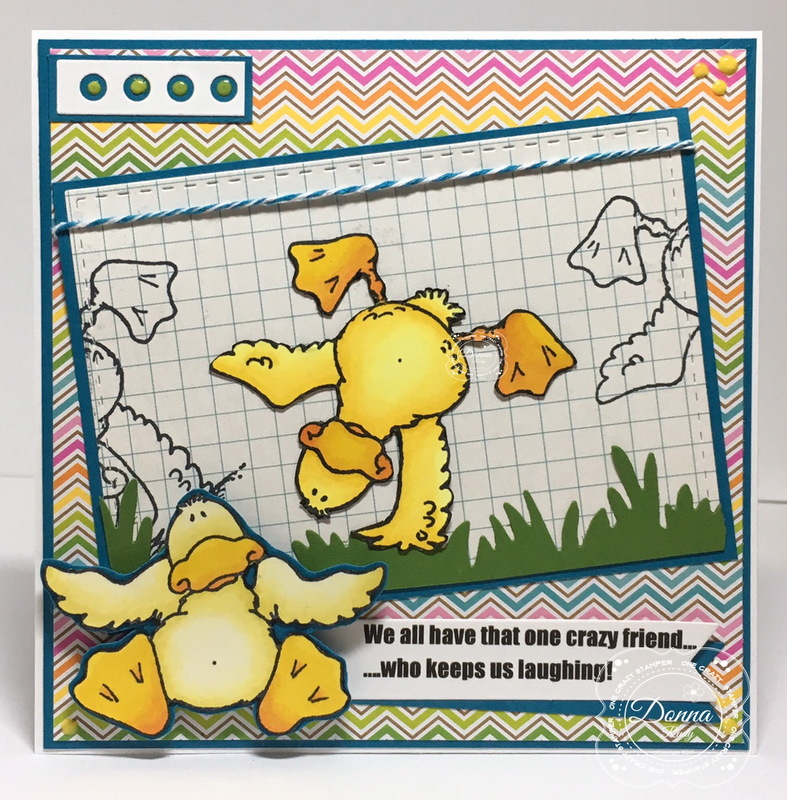 What a fun card you did, love the ducks going off the main panel!! !